These are examples of lettermarks that I did for a project. We had four fictional companies that we had to create lettermarks for. A lettermark is like a logo using the letters in the name of the company to create a design. 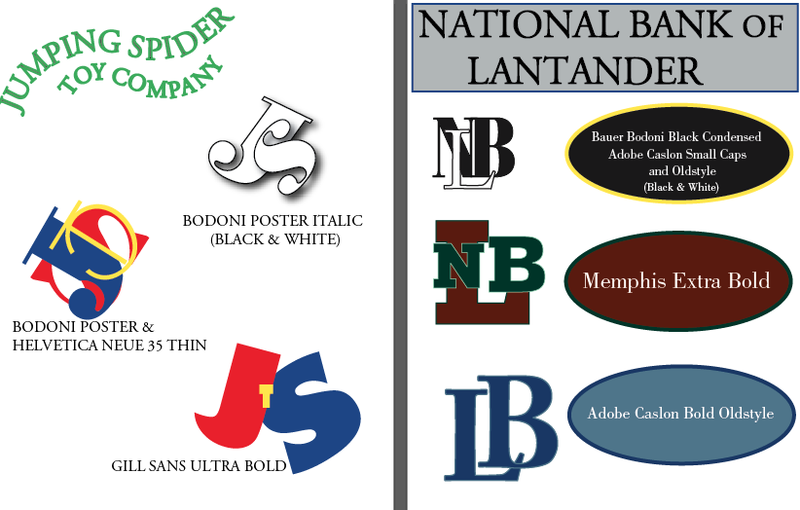 These 2 sets were for Jumping Spider Toy Company, and National Bank of Lantander. This entry was posted on January 11, 2014 by syykkogrl. It was filed under ~Art~ and was tagged with Adobe Illustrator art, art, artwork progress, Design, digital art, Graphic, graphic design, Graphic Design Typography, Lettermark, Lettermarks, Logo, portfolio, Student Work, Typography Logo.